From new birth to graduation or a retirement or birthday — There are many moments where we are given the gift of celebration. Life transitions and achievements are exciting and meaningful tenfold when celebrated in a community together! Join in and show thoughtfulness and cheer with one of our Cardinal designs. Robin gift boxes are full of artisan treats with options for coffee or tea. The studio sources local snacks and coffee while adding fresh fruit and chocolates or caramels made in America. Items selected for our Sparrow gift boxes are as sweet as can be, offering chocolate for the new parents and toys, books, or accessories for the bundly of joy— chosen with an emphasis on simple, heirloom quality. Items designed to uplift and clear a new space are selected for our Wren gift boxes— fresh fruit, air plants, candles, or dried botanical bundles, as well as chocolate for a sweet christening treat! Hummingbird gift boxes are a delight to compose! 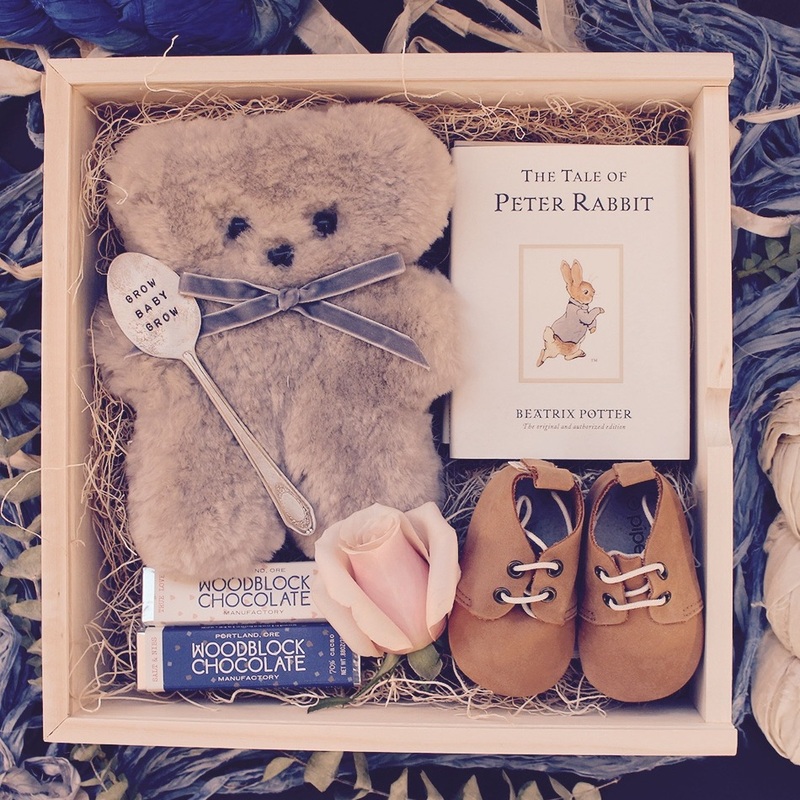 We select spa items, teas, and chocolates to pamper the parent-to-be with a sweet little wooden rattle or Beatrix Potter book to share with baby.